Dubai has quickly become known as one of the most glamorous cities in the world – replete with stunning architecture and high-quality leisure facilities. 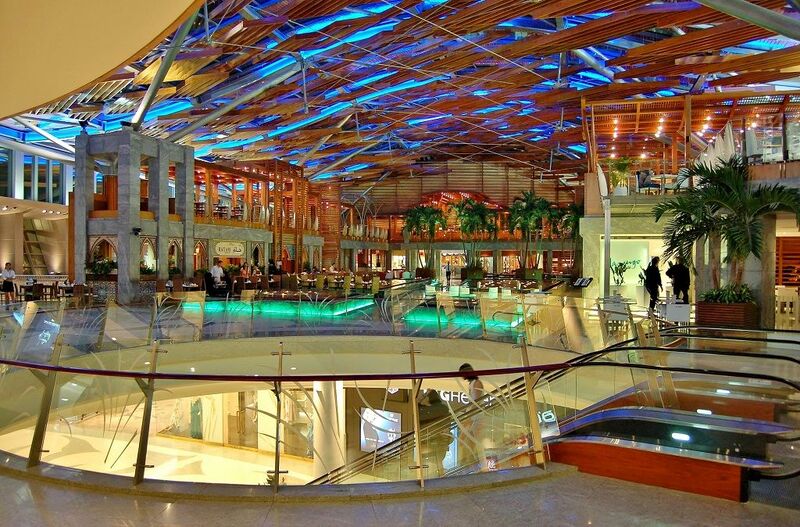 Among Dubai’s most popular attractions have to be the many impressive shopping malls that populate it. Containing the most prestigious shops, incredible restaurants and much more – these spots are a must visit. Every country does things just a little bit differently, and a fly or no fly Jetline cruise is a great way to experience the varying delights of what the world has to offer. 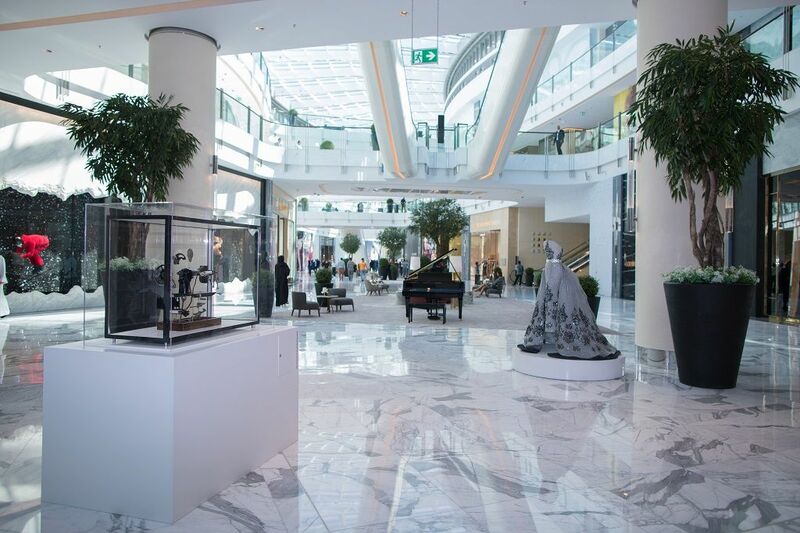 So if you’re planning a Dubai cruise holiday, make sure you first take a look at our guide to Dubai’s most luxurious shopping malls. With a tropical forest also at its heart and an indoor educational play area for children, City Walk should be sought out in the prestigious neighbourhood on Al Safa Street, very close to Jumeirah Beach Road. Located in the centre of downtown Dubai, The Dubai Mall is truly a sight to behold. For the ultimate luxurious shopping and leisure experience during your holiday, The Dubai Mall, as the world’s largest and most luxurious shopping complex (and the most visited retail and entertainment destination), is absolutely the place to be. Visitors can explore 1,300 stores (including Hamleys and Bloomingdale’s), 200 food and beverage outlets, and holiday defining attractions such as an Olympic-size ice rink, VR Park, and the world’s tallest performing fountain. Perhaps best of all, The Dubai Mall is also where you can enjoy the Dubai Aquarium, which features a stunning 180-degree walkthrough tunnel. For those sweet lovers out there, don’t forget to pay a visit to Candylicious before you leave – a 10,000 square feet store that sells every sugared treat one could wish for. Opening its doors in 2007, Dubai Outlet Mall is the first outlet concept mall anywhere in the Middle East and is home to an incredible 1,200 of the world’s most illustrious brands. 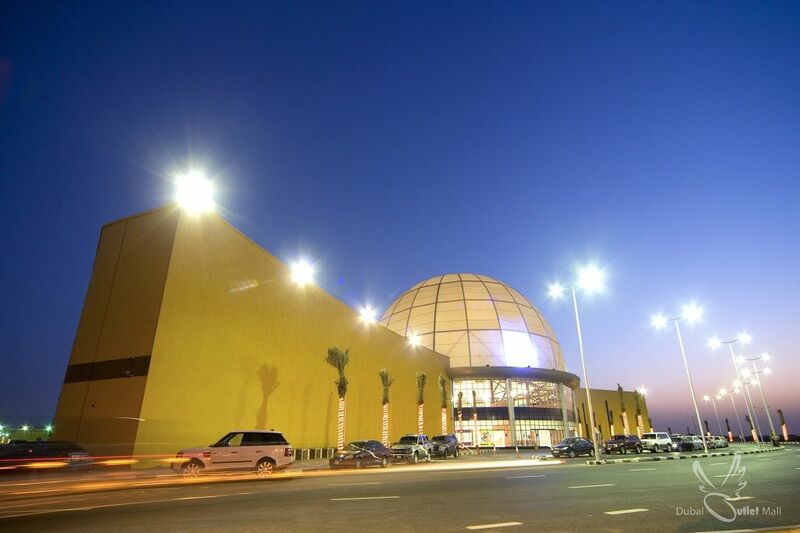 Part of Dubai Outlet City, the mall is able to offer ultimate value, allowing customers to take advantage of some remarkable discounts ranging between 30% - 90% across their 240 stores. 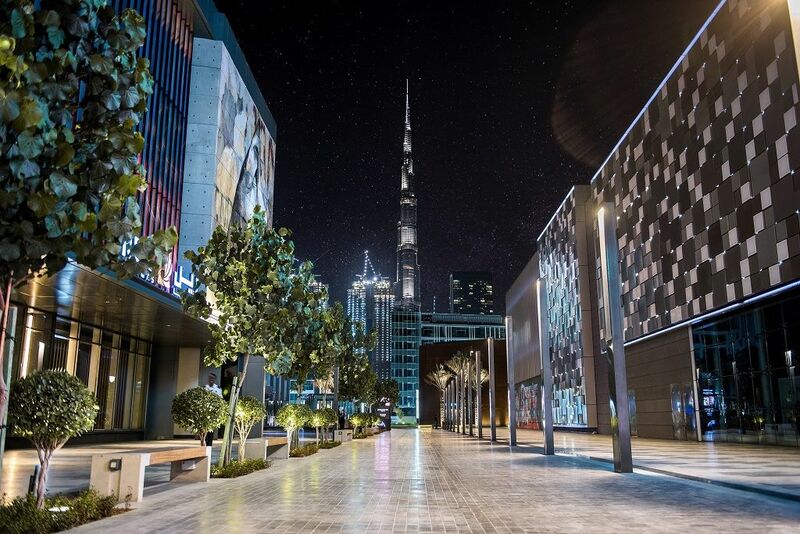 The deals available on designer labels such as Burberry and Marc Jacobs, make the Dubai Outlet Mall an essential visit when in Dubai. Along with having fun at the ice rink and bowling alley, don’t forget to enjoy your fill of the many world-renowned restaurants and eateries available to complete the experience. Situated in the historical district of Bur Dubai, BurJuman is an upscale shopping landmark that also happens to share its 2.8 million space with a business tower, fancy hotel suites, and duplex residences. 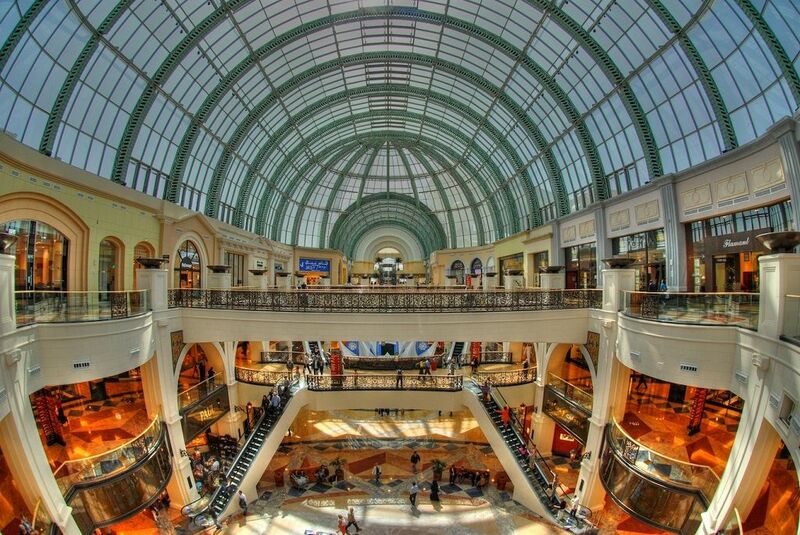 A truly luxurious mall to visit in Dubai, BurJuman is four storey’s tall, offers more than 300 high-end brands, along with an enormous 40 restaurants and cafes to relax in after hitting the shops. Also containing a 14 screen state of the art cinema and one of the region’s favourite family attractions known as Magic Planet – a delightful entertainment centre full of games and rides to enthral little ones all day long. And for a truly unforgettable highlight, make sure to enjoy 12D RIDES – a truly immersive virtual reality experience. No tour of Dubai will be complete without a visit to the Mall of the Emirates. This 223,00 square-metre shopping and leisure resort boasts 630 international brands, multiple department stores, a plethora of boutiques, 470 retail stores, VOX Cinemas, a 500-seat capacity theatre, and over 90 international dining options. Housed with an impressive architectural construction, Mall of the Emirates is also home to a fashion dome with prestigious designer brands and the Middle East’s first indoor ski resort and snow park – Ski Dubai. With an 85-metre-high indoor mountain, five slopes, toboggan runs, penguins, climbing towers, and more, Mall of the Emirates is certainly far above your run-of-the-mill shopping Mall. So if you fancy combing top food, an exhaustive shopping experience, and an afternoon of skiing, make sure to stop by.